Bill Staton is a Chartered Financial Analyst (CFA) with an MBA in finance from The Wharton School at the University of Pennsylvania and a bachelor's degree in business administration from UNC-Chapel Hill. Bill is widely known as 'America's Money Coach.' He has been Managing Director and Chief Investment Officer for Staton Financial Advisors, LLC, since its inception in 2000. 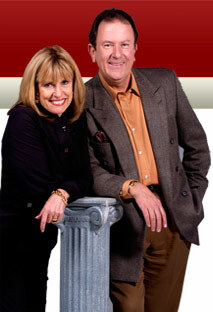 He and his wife/partner Mary began portfolio management in 1997.An economic historian with 43 years in the financial-services industry, Bill has been profiled or quoted in the Wall Street Journal, Washington Post, New York Times, Barron's, Business Week, Kiplinger's Personal Finance, Bottom Line/ Personal, and Money magazine, and interviewed on numerous radio and television shows. 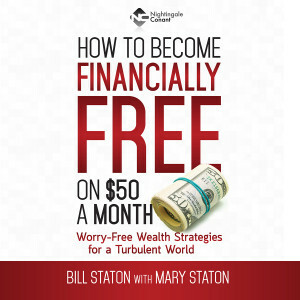 He is the author of six books on investing, including his most recent, Double Your Money in America's Finest Companies: The Unbeatable Moneymaking Power of Rising Dividends, from John Wiley & Sons.Bill and Mary have four children and two grandsons. He loves to play tennis at least three times a week and walk their dog Bianca. And usually does.